The initial directory is part of a pilot project by the City designed to improve wayfinding for visitors to City Hall. 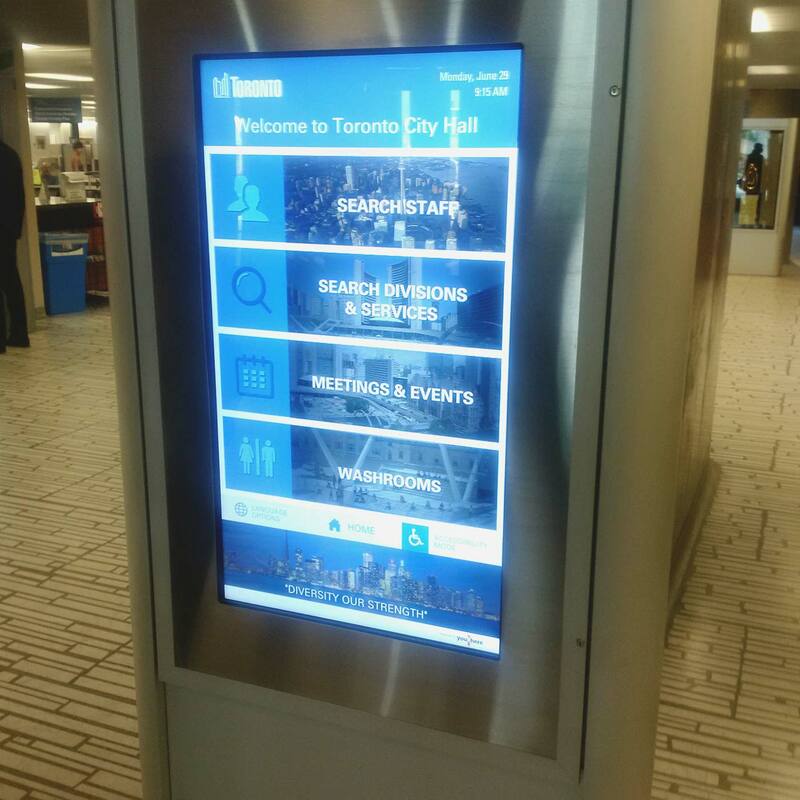 After gathering user feedback over the remainder of the year, the City hopes to expand the project to encompass more directories at City Hall and other City-owned buildings as well as incorporate additional features into the directory. youRhere was selected through an RFP process earlier this spring and worked closely with the Facilities Management—Facilities Design and Construction Group as well as other City divisions to complete the pilot in less than three months’ time. Toronto is Canada’s largest city, the fourth largest in North America, and home to a diverse population of about 2.8 million people. It is a global centre for business, finance, arts and culture and is consistently ranked one of the world’s most livable cities. Toronto is proud to be the Host City for the 2015 Pan American and Parapan American Games.